Easter isn’t complete without a bunny, is it? So who better than Peter Rabbit to bring the celebrations to life? 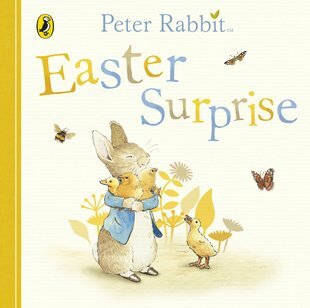 In this lovely rhyming story, you can hop along with Peter as he shares an Easter surprise with his friends. Hmm – what could it be? (We’re not telling!) From Tom Kitten to Jemima Puddle-Duck, you can spot all your favourite Beatrix Potter friends in this oh-so-cute Easter delight.